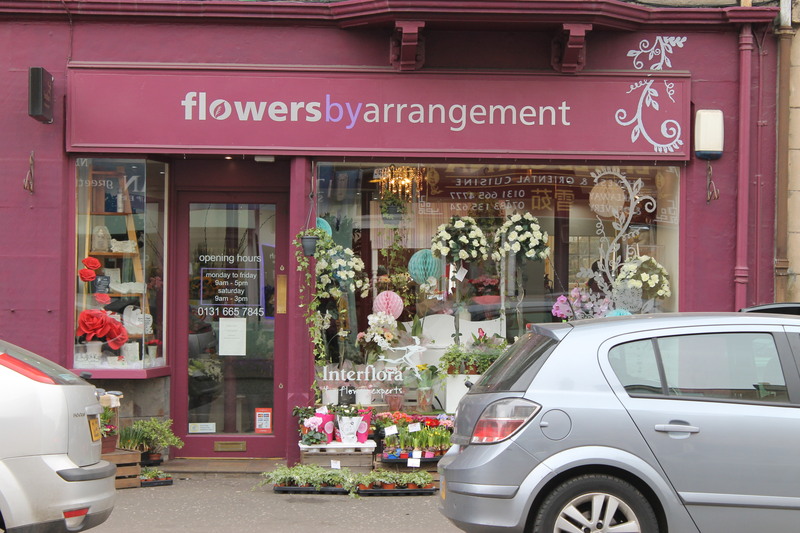 Following a recent revisit to high street shops in Haddington, Musselburgh, North Berwick, Dunbar and Prestonpans our Shop Doctor is now busy producing reports updating recommendations made to the participating businesses during this fourth phase of work for East Lothian Council. 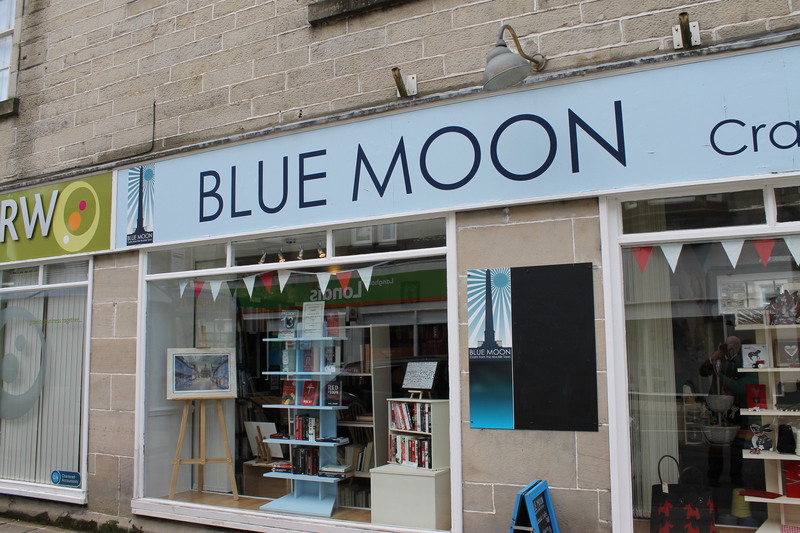 Many of the businesses had already benefited from the recommendations with some able to move forward to implement some of the more challenging opportunities within their shops. 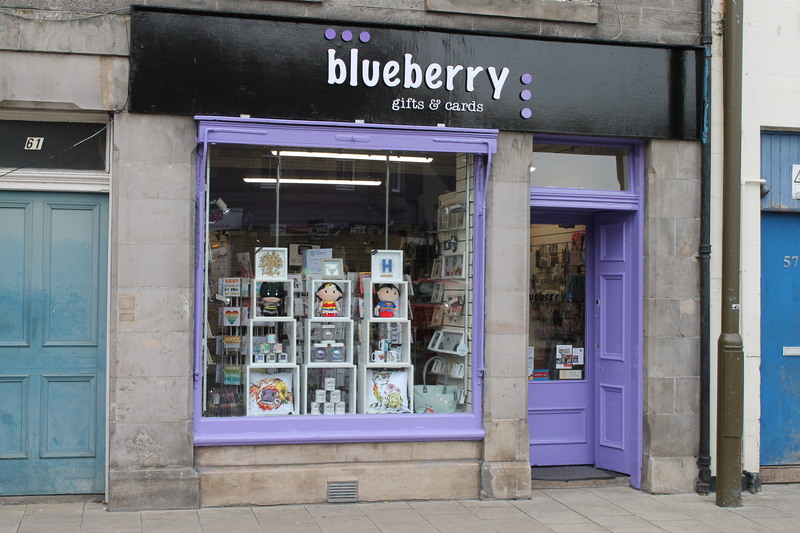 One, Blueberry had recently moved premises to a similar shaped but larger shop and transferred many of the ideas relating to potential improvements within their old shop into the new one. 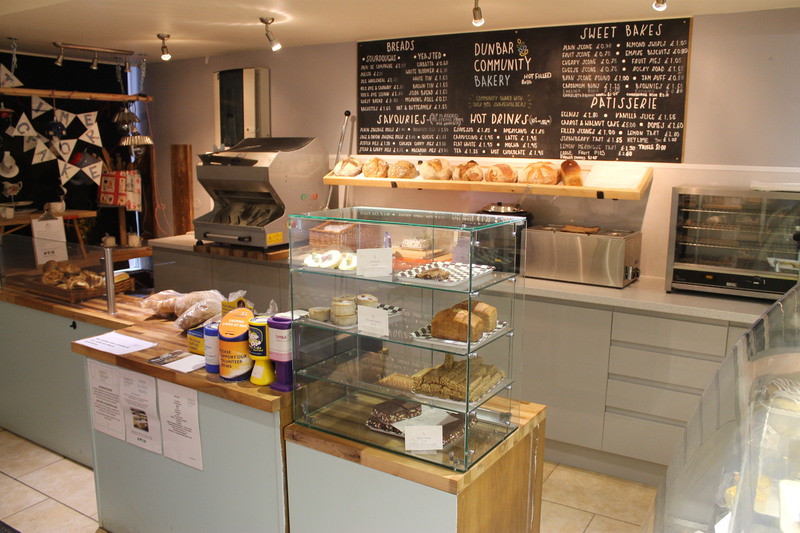 Dunbar Community Bakery had undergone the most extensive work delivering a much brighter and more attractive interior that was not only an improvement for customers but made working within the shop much easier. Hopefully the excellent upgrade will help enhance sales and onward profitability. 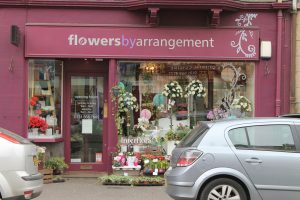 The relocated counter at Flowers by Arrangement in Musselburgh had materially improved accessibility around the shop by opening up the entrance and exposing more of the shelving on the right hand side. Still more improvements to come, especially to the lighting. East Lothian – revisits round three. 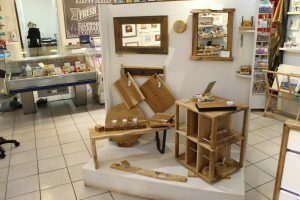 The Shop Doctor will be returning to East Lothian at the end of January to revisit businesses in Haddington, Dunbar, North Berwick and Cockenzie. 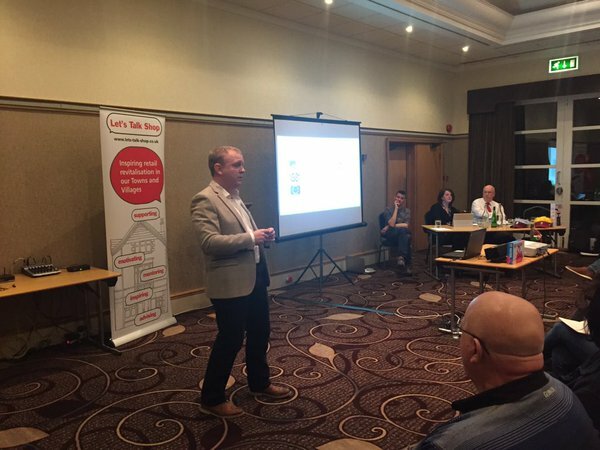 “This will be my 6th trip to East Lothian” says Bill, “it is always good to catch up with the great range of retail operators that have previously participated in my Let’s Talk Shop Advisory programmes”. 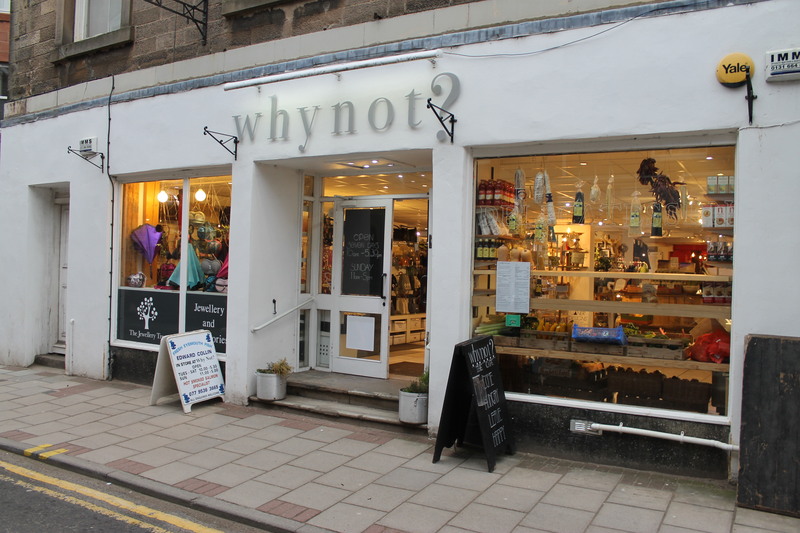 Dependent upon retailer interest it is hoped that a further round of Let’s Talk Shop support will be facilitated later in the year in conjunction with East Lothian Council. Washed out, looking for a silver lining? It cannot be easy to see your business devastated by flood water, and undoubtedly heartbreaking to see the business you have worked so hard to develop washed away through no fault of your own. 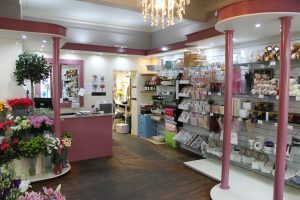 With an understandable desire to get the business back into operation as quickly as possible there is often limited time available to consider whether or not changes to the internal layout of the shop might deliver new business opportunities. But if you are starting again with a relatively blank canvas do not rush to reinstate what was there before. An opportunity exists to address layout issues that might have previously impacted negatively on the way customers ‘shopped the shop’ . Careful placement of replacement shelving might help alter the way customers circulate; identifying and maximising the impact of new selling hot-spots can help generate additional sales and improving merchandising techniques is easier when you are having to stock the shelves from scratch. It might even be practical to relocate the counter, just because things have always been in a certain position does not mean that they are in the best position for your business in the future. Identifying new opportunities, on top of everything else required to get the business up and running again, might deliver some challenges, but it is time that could be well spent. 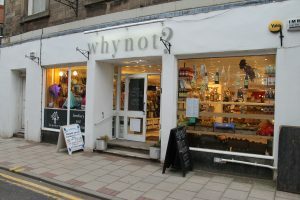 During my recent return to Langholm, it was pleasing to see the progress made by the shops visited during the initial phase of the Let’s Talk Shop support programme. Most significant was that achieved by Cut The Mustard Gallery who, having relocated to the shop next door since my original visit, have undoubtedly transformed their business and its impact on the High Street. Where the original premises had been relatively confined and limited in display potential, the new gallery provides excellent space from which to materially develop their business opportunities. 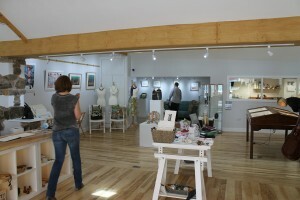 The gallery also adds new dimension to the existing craft focus within the town, one that itself helps to draw additional footfall to the town. Relocation obviously came at considerable cost but, thanks to a very supportive and forward-looking landlord (who also provides valuable assistance to other retailers in the town who occupy shops owned by him), the transformation was achieved. 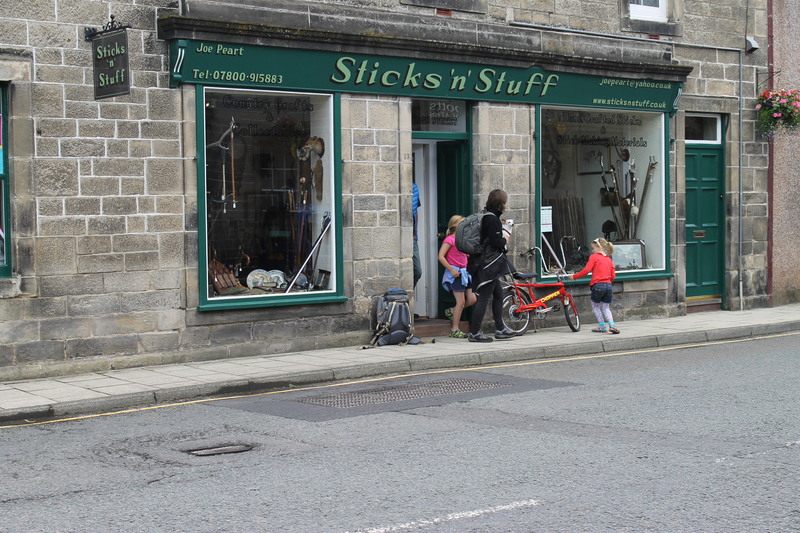 When originally visited, the owners of Sticks ‘n’ Stuff received advice as to how to set out their recently purchased shop premises. 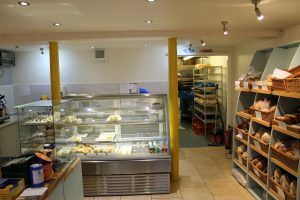 At the time, the shop was an empty shell and in need of considerable refurbishment. Now completely refurbished, the shop complements others in the town. It provides walking sticks made on the premises as well as all the components required to make your own alongside a range of collectible items. 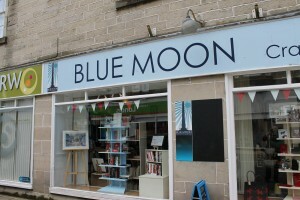 Abbotts Chocolate Shop and Blue Moon Crafts have also made significant changes to help to engage customer interest more effectively. 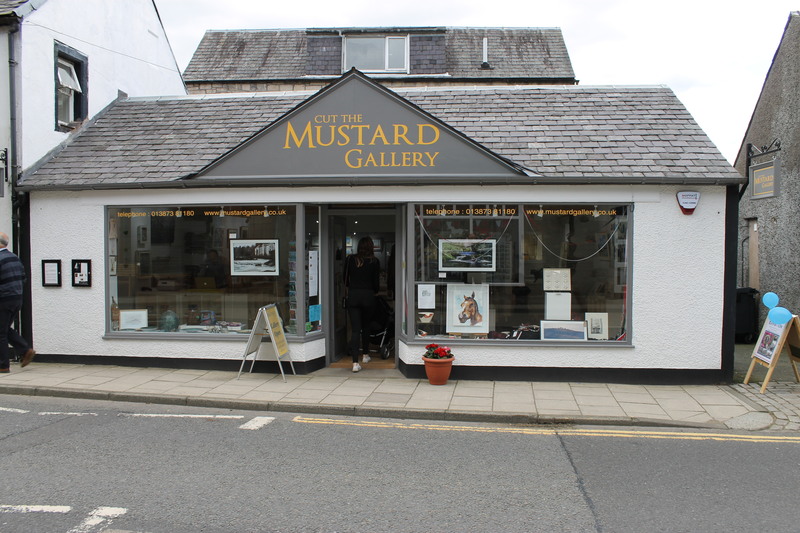 At Langholm Gallery the simple removal of the wooden screening immediately behind the window has noticeably improved the visual impact of the window display itself and made the shop interior a far brighter environment in which to shop and work. 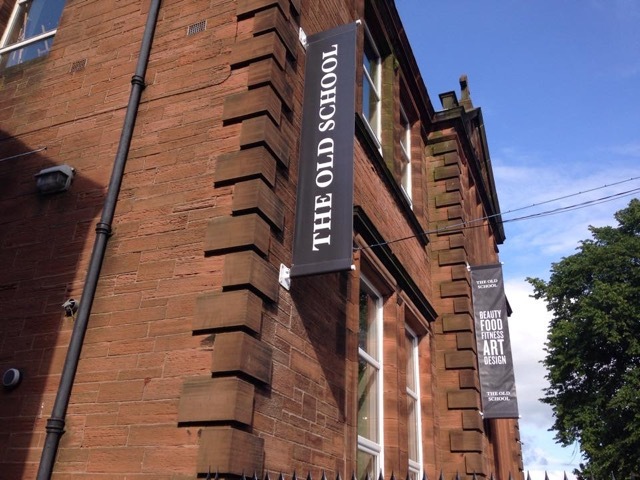 One of the recommendations made following my visit to The Old School, Dumfries earlier in the year was the need to enhance awareness of activities being undertaken inside the building. Located slightly away from the town centre, the premises themselves delivered little indication that they provided accommodation to an interesting variety of small businesses. 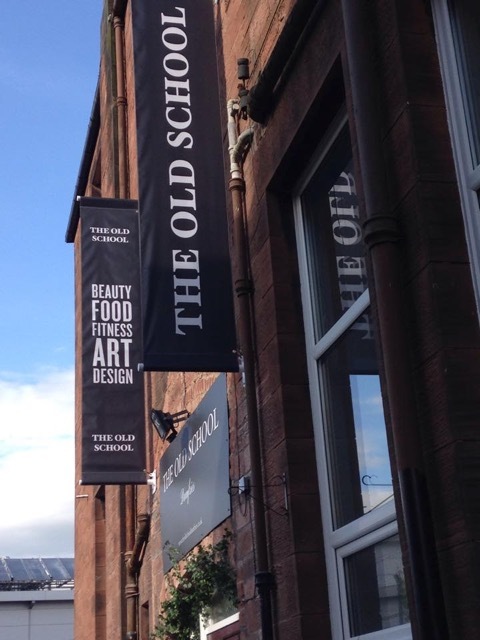 It was pleasing to receive today the following comment and photographs from Rachel Speedie of The Art Room, one of the businesses operating in The Old School building. Rachel is helping to coordinate improvements to business vitality within the building. 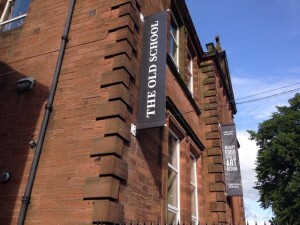 “I just wanted to show y ou what got installed today at The Old School in Dumfries, apparently they can be seen from Brooke Street, but also DGOne & the Lidl traffic lights too! 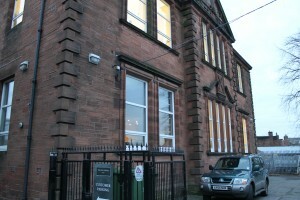 The entrance to the premises are to the left-hand side of the building, immediately off the access road to the customer car park. 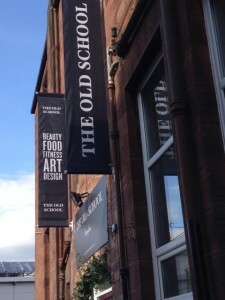 Signage has also been installed on this facing of the building, further developing the opportunity to inform a wider audience about the presence of this small oasis of business activity. 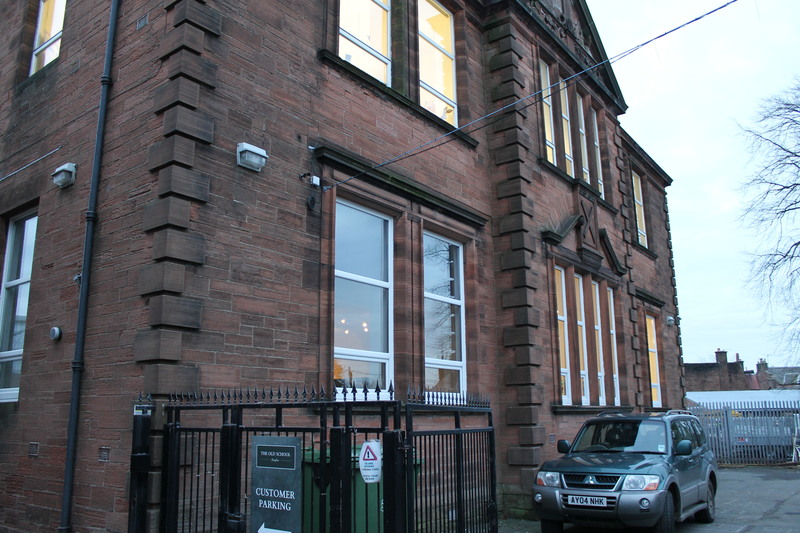 Other businesses involved are: Blusha, Make-Up and Hair Specialist; NonaLou’s Tea room, Cafe and Coffee Shop; Dumfries School of Dance; B Beautiful by Beth and Brighteye Design & Branding. 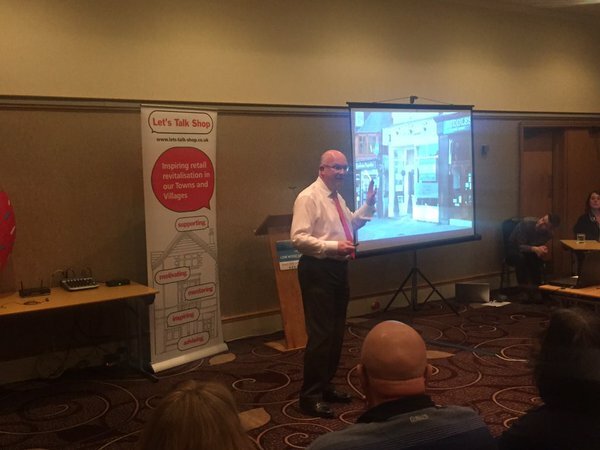 In a recent follow up visit to Dalbeattie retailers who participated in the original Let’s Talk Shop Support Programme it was pleasing that many of them were feeling considerably more positive about their trading vitality. 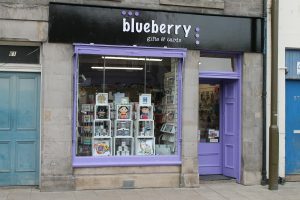 Whilst there had been some shop closures in the town it is likely that it was not the economic climate alone that had contributed to their demise. 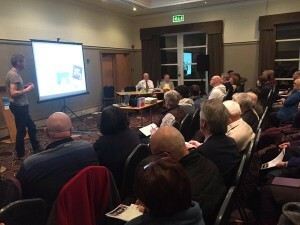 Other businesses had invested and reports from those who had implemented improvements following the initial recommendations were very positive. Whilst many of the participating retailers had taken advantage of the Let’s Talk Shop grants scheme to help introduce recommendations many were now waiting for implementation of the Shop Front Improvements Scheme to enable more robust external improvements to be undertaken. One major improvement to the gateway impact of the town was the investment being undertaken at the Pheasant Hotel. The dilapidated condition of the premises at the time of the original visit reflected poorly on the town and it is hoped that the major investment underway to create the Birch Tree Inn, Restaurant, Bar and Hotel will materially improve the arrival impact whilst increasing the number of bed spaces available, a positive step forward for tourism.